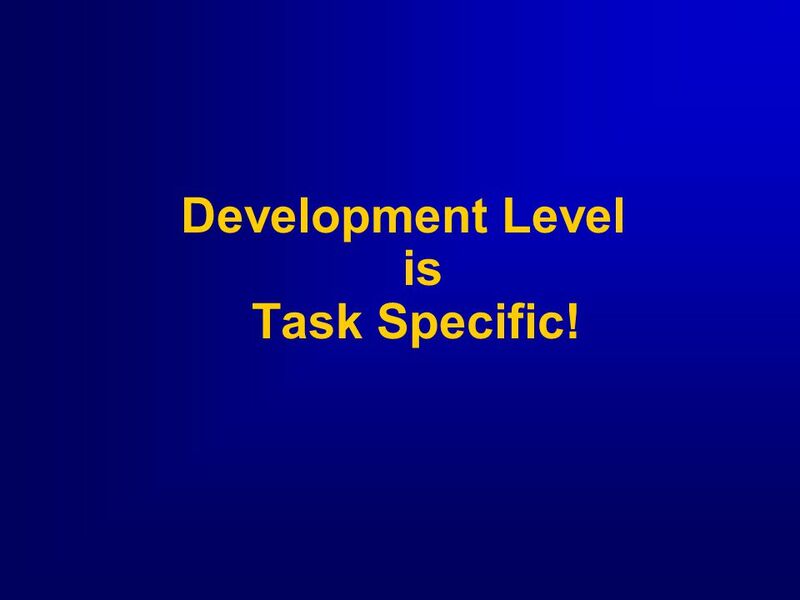 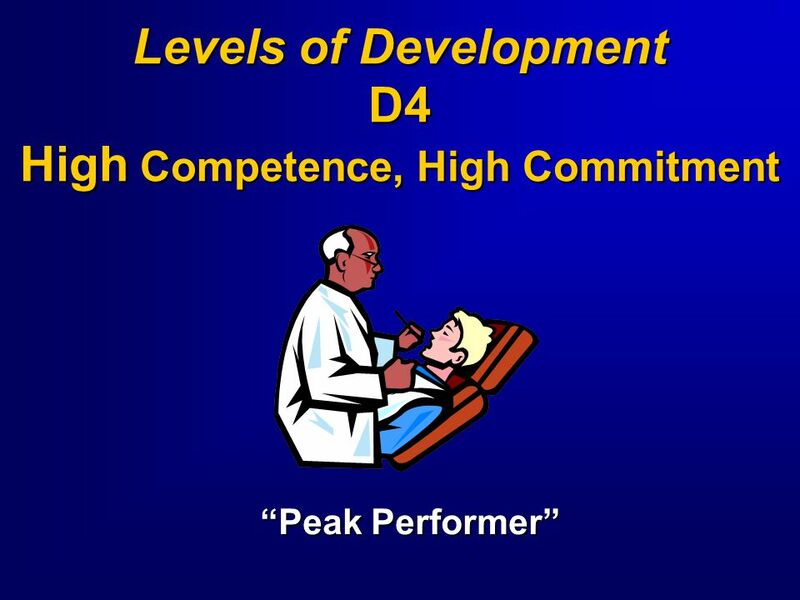 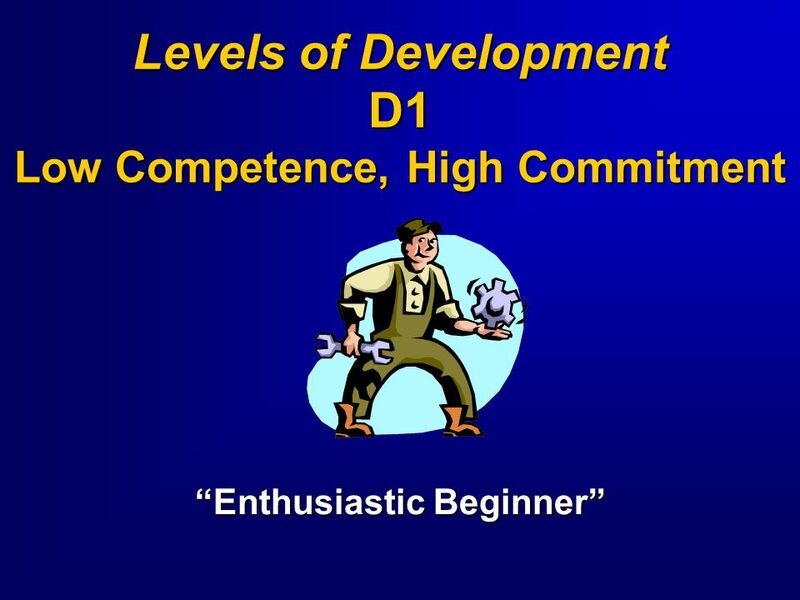 18 Development Level is Task Specific! 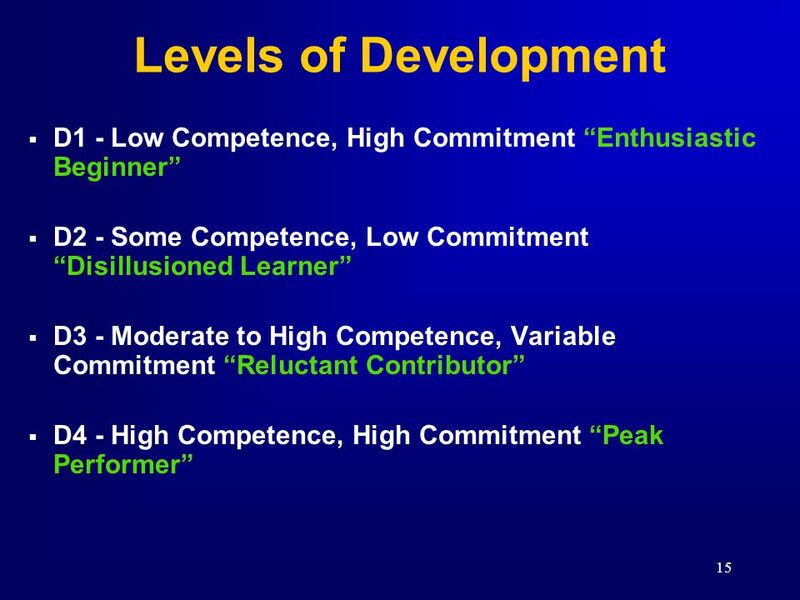 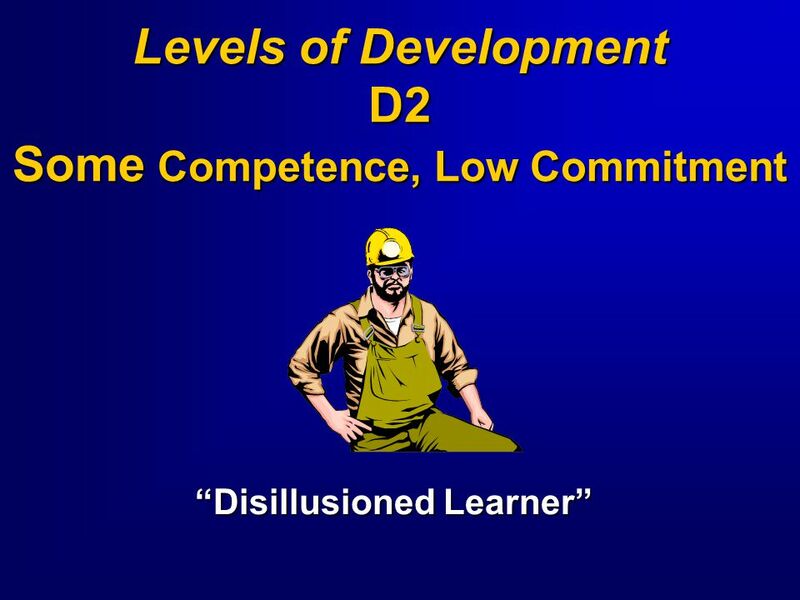 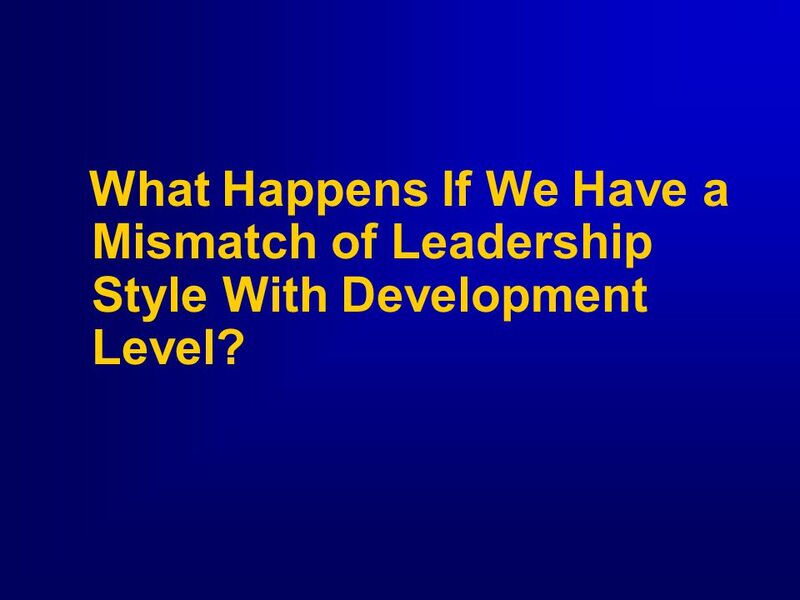 28 What Happens If We Have a Mismatch of Leadership Style With Development Level? 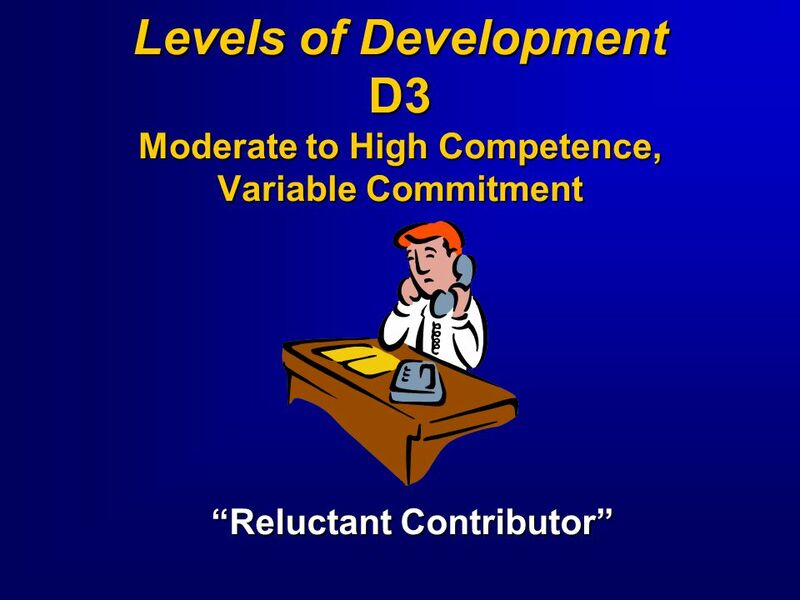 31 (S3 and S4) and Still Get High Quality Results. 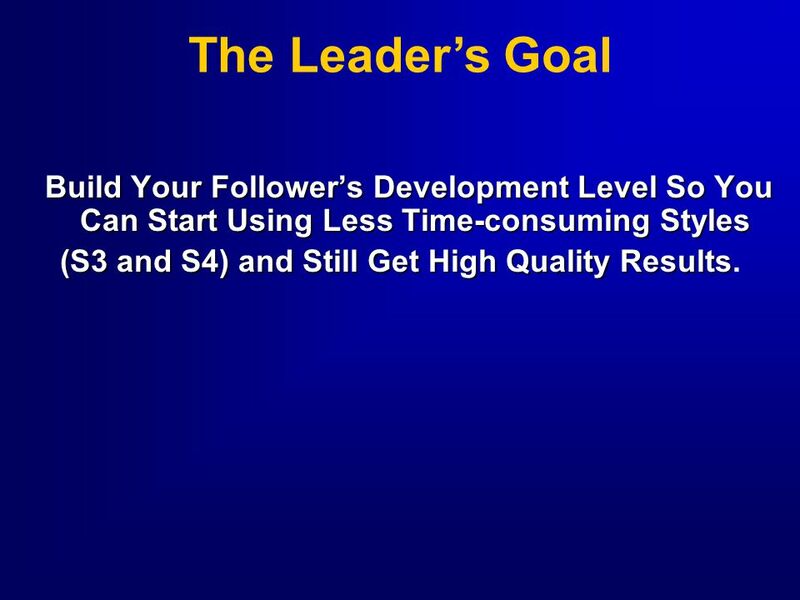 The Leader’s Goal Build Your Follower’s Development Level So You Can Start Using Less Time-consuming Styles (S3 and S4) and Still Get High Quality Results. 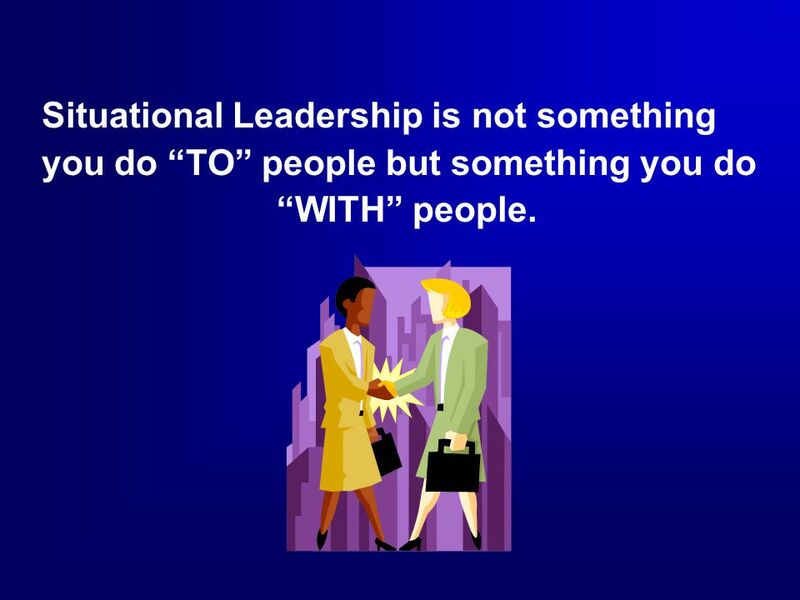 you do “TO” people but something you do “WITH” people. 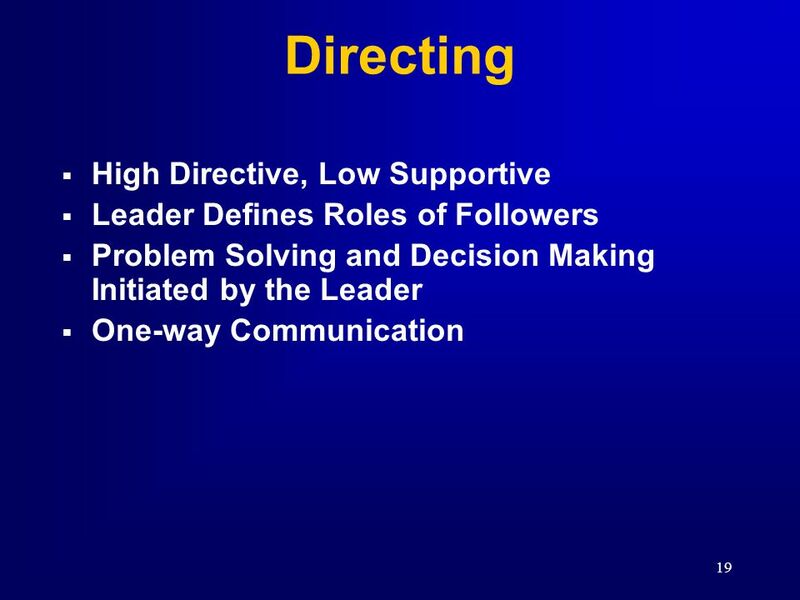 Situational Leadership AGED Leaders don't force people to follow -they invite them on a journey. 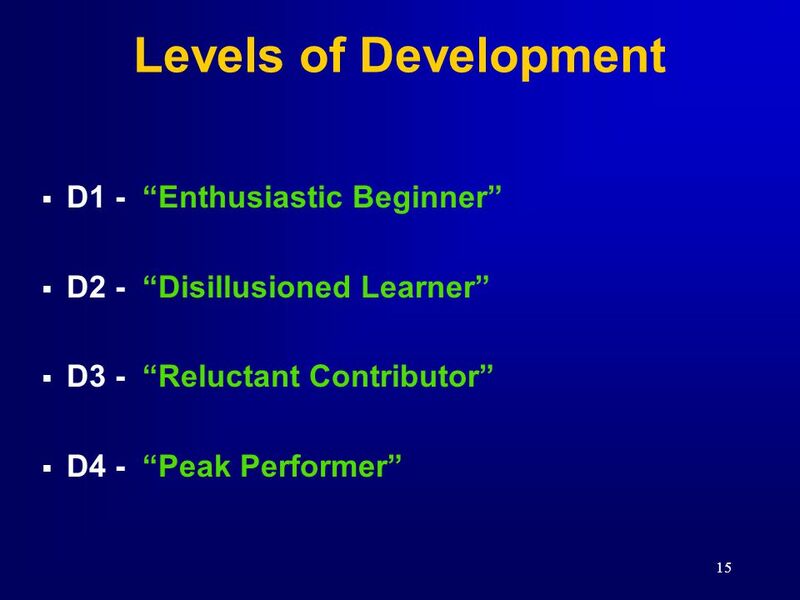 ~ Charles S. Lauer. 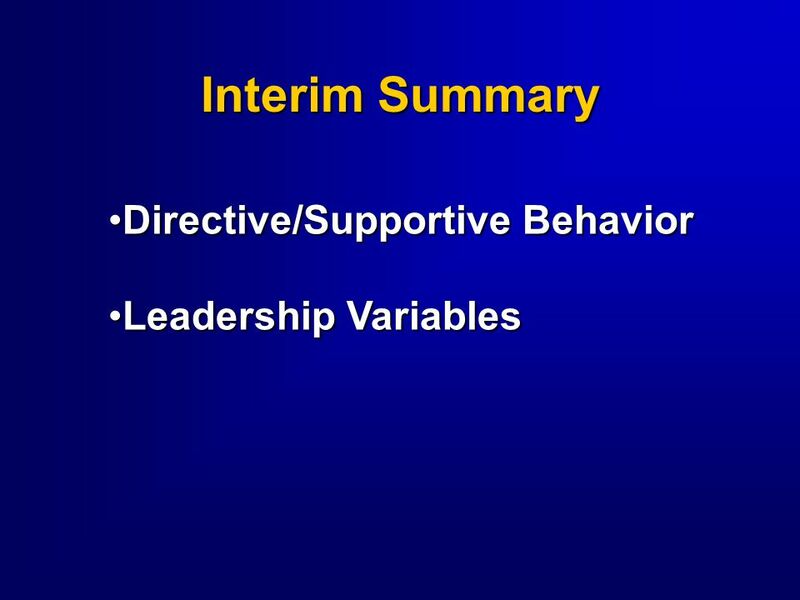 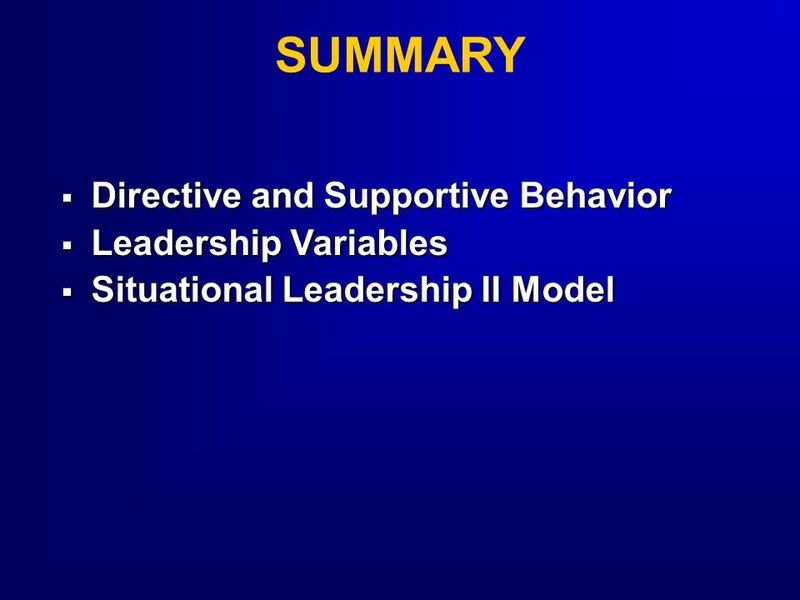 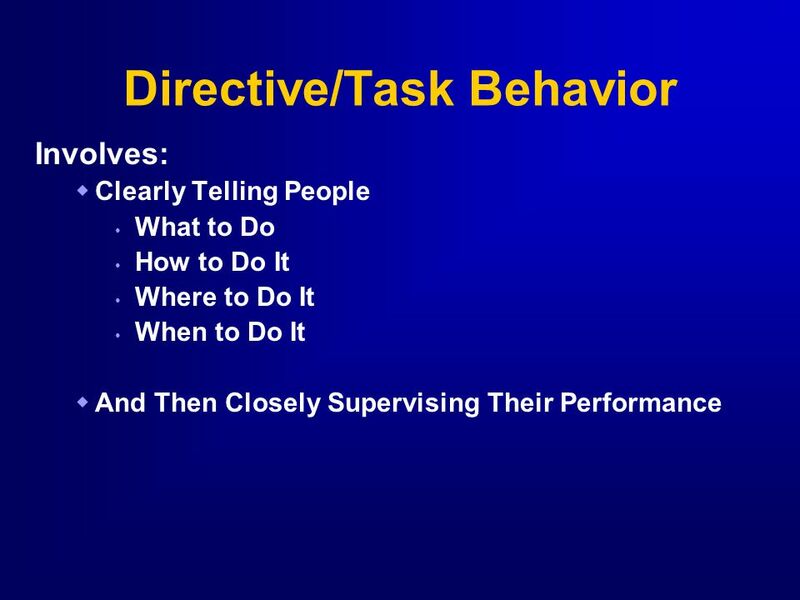 1 Situational Leadership 2 Overview Task and relationship behaviorsTask and relationship behaviors Leadership variablesLeadership variables Situational. 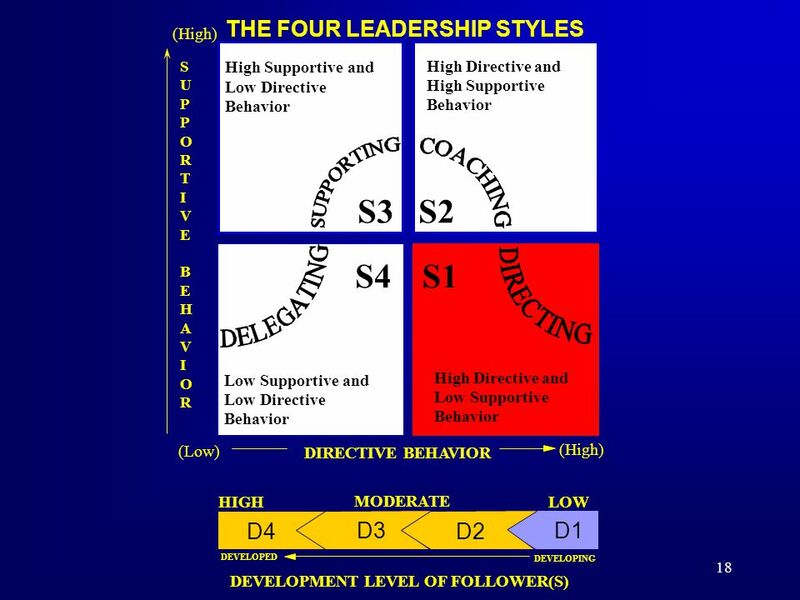 Different Leadership Styles. 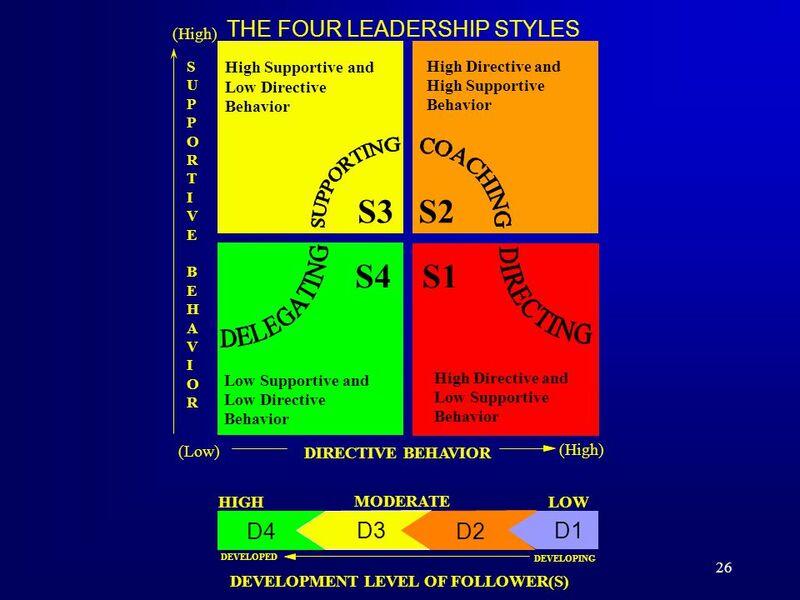 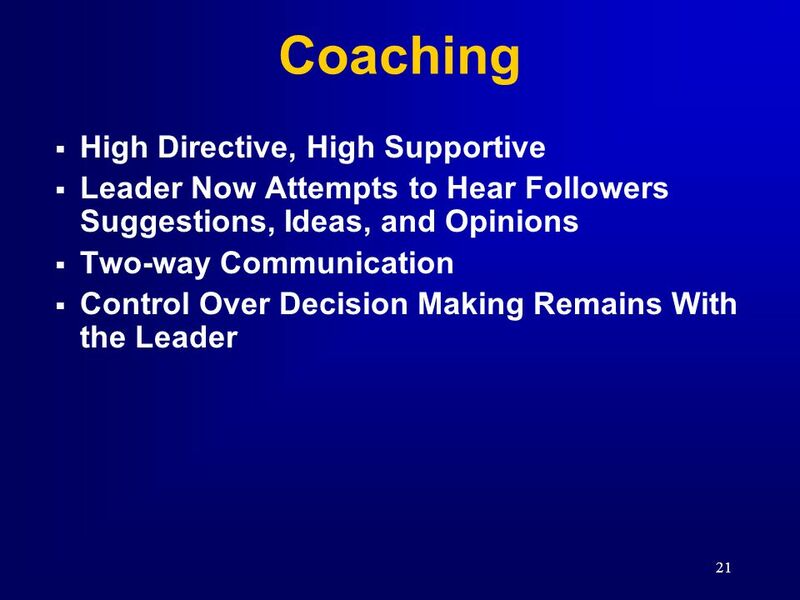 What is a Leadership Style? 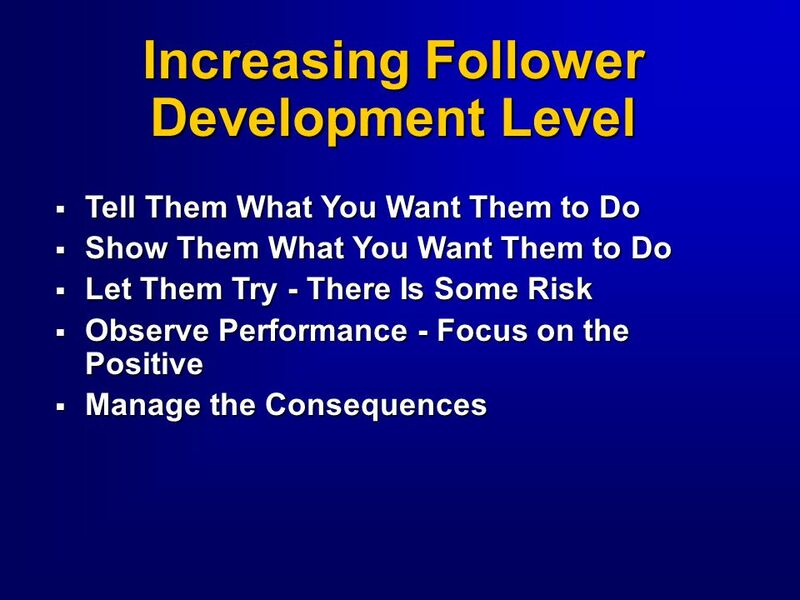  It’s a pattern of behaviors you use when you are trying to influence the behaviors of others. 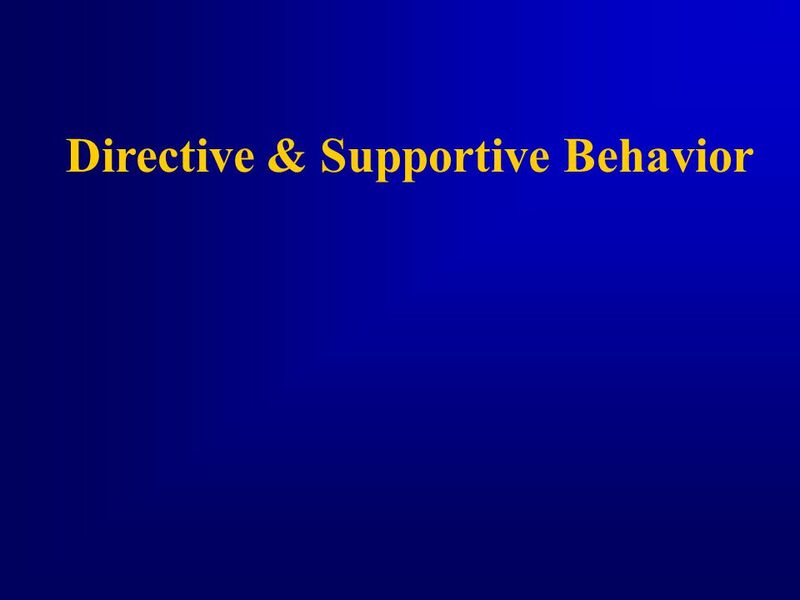 * Company Confidential * Login Screen Has three functions: 1.Controls access to the rest of the app by requiring the entry of an issued access code (credential. 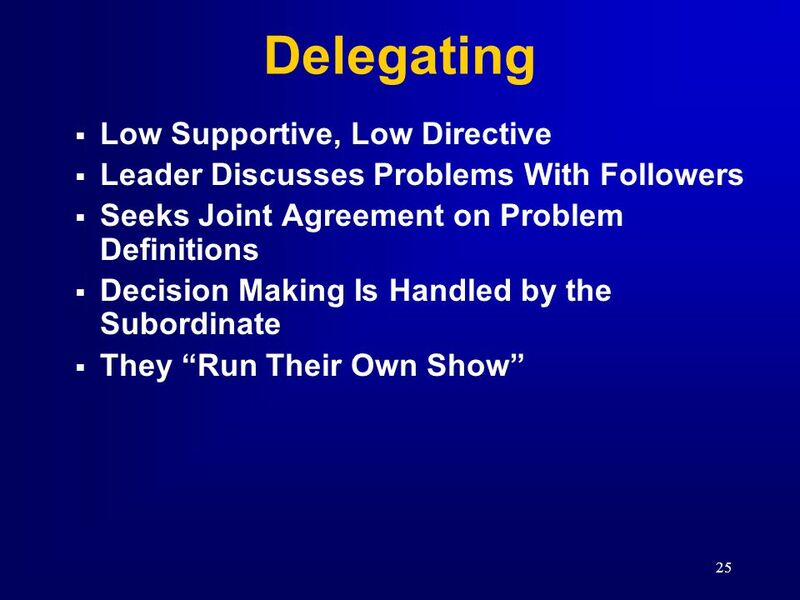 Situational Leadership. 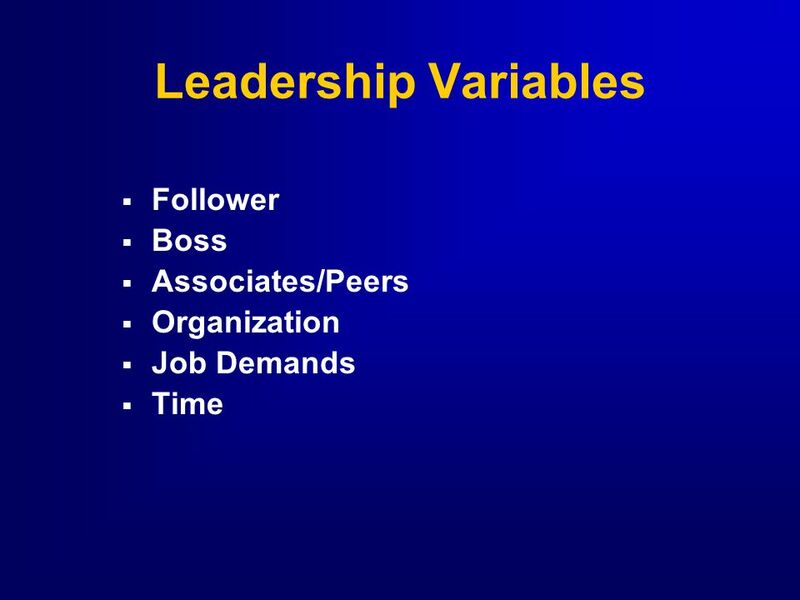 Task & Relationship Behaviors Leadership Variables Situational Leadership Model – Readiness (Followers) – Transition – Leadership. 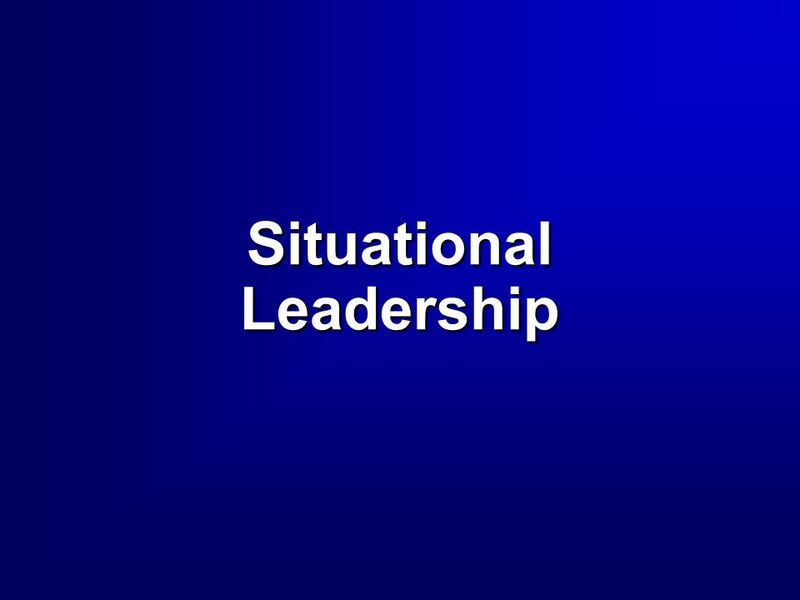 Dr Catherine Hannaway Durham University 14 th July 2011 SITUATIONAL LEADERSHIP. 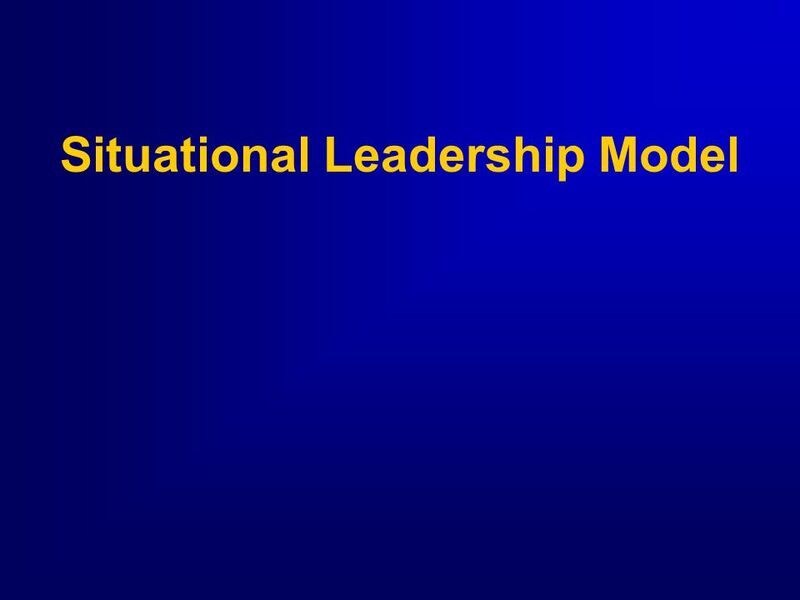 Situational Leadership 6 th March 2013 Middlesbrough Leadership and Improvement Programme. 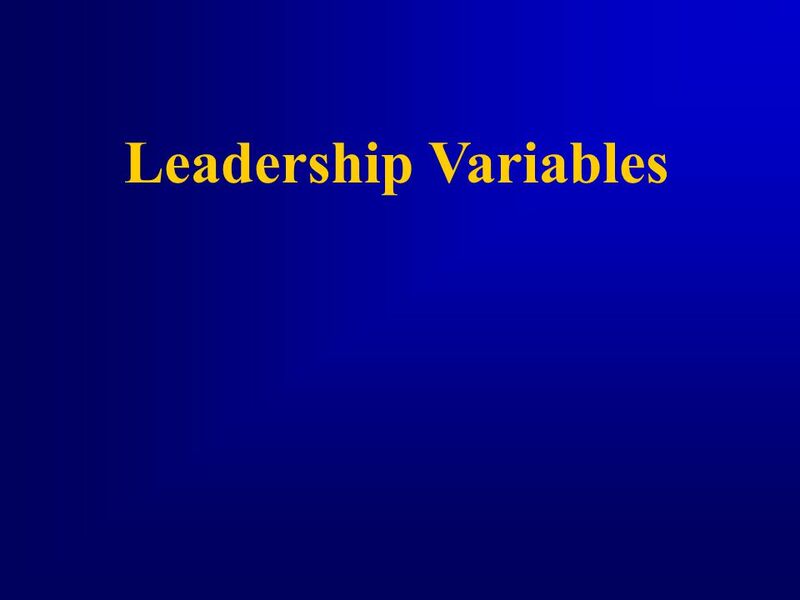 To LEADERSHIP AND THE. 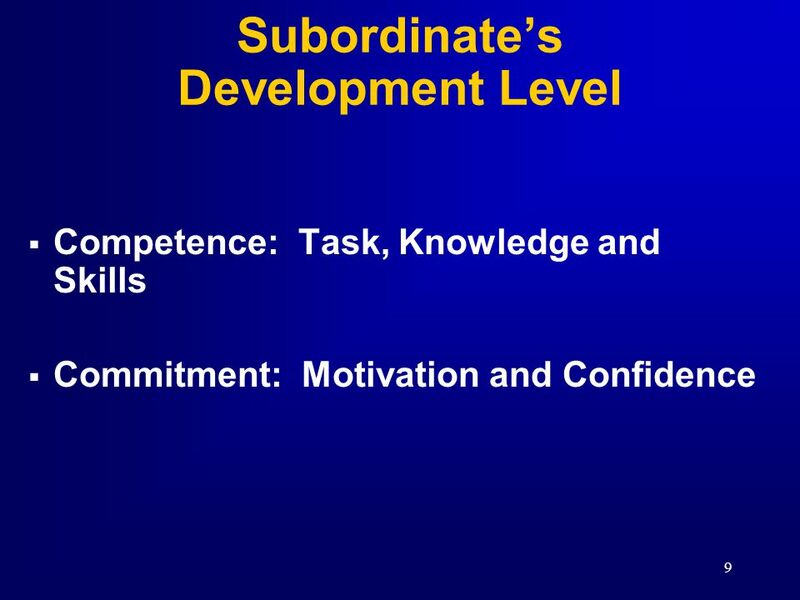 Take a minute out of your day to look into the faces of the people you manage. 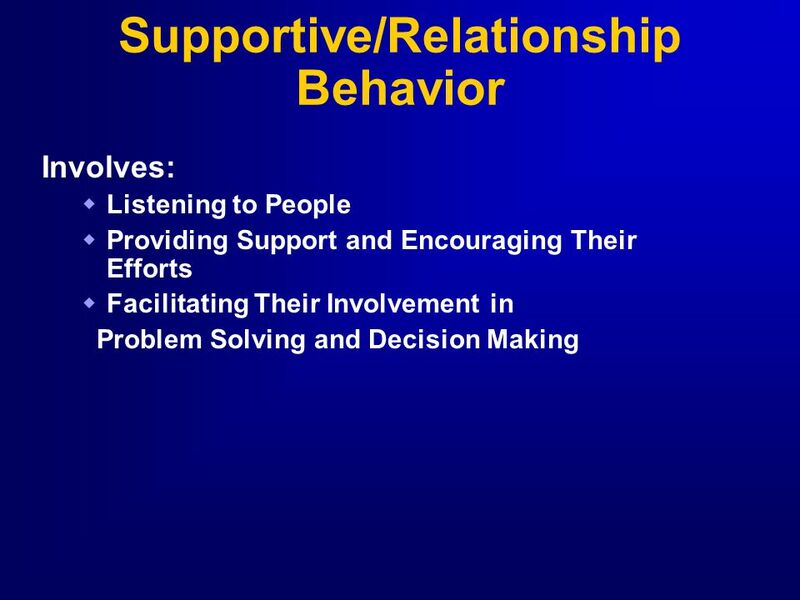 Realize that they are your most important resources. 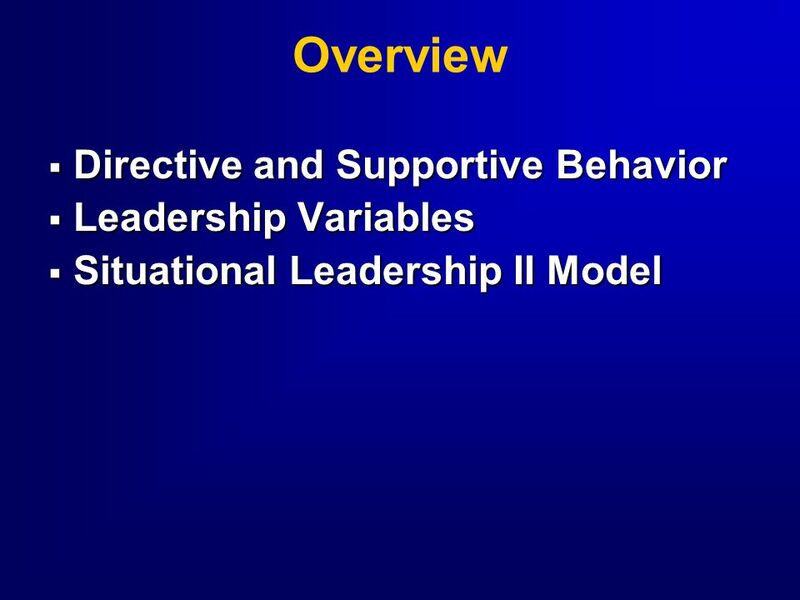 Motivating and Developing Others Beth Mertz, PhD, MA Assistant Professor Preventive and Restorative Dental Sciences & The Center for Health Professions. Copyright © 2005 by South-Western, a division of Thomson Learning All rights reserved 1 Chapter 15 Dynamics Of Leadership.